“Mainers have much to be thankful for,” Maine Gov. 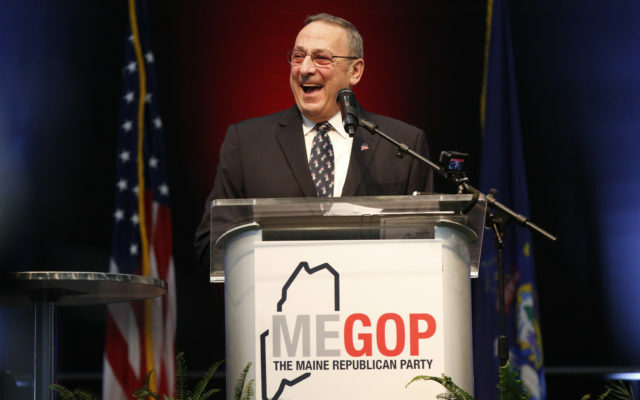 Paul R. LePage said in his weekly radio address for Nov. 21. AUGUSTA, Maine — “Mainers have much to be thankful for,” Maine Gov. Paul R. LePage said in his weekly radio address for Nov. 21. The governor’s press office has released the text of the address, which follows. Today, as we did then, Mainers have much to be thankful for. We are blessed to live in a beautiful state. The bounty of the sea and the great productivity of our farms provide an incredible variety of food. It not only sustains us, but attracts people from all over the world. But it is important to remember that despite this incredible food environment and our growing prosperity, there are still people who need help. That is why Ann and I held our eighth and last food drive earlier this month to assist our fellow Mainers who are food insecure. Since we began the food drive in 2011, we have collected thousands of pounds of food for pantries and shelters across Maine. And again this year, Peter Vigue of Cianbro has donated 100 turkeys. Each year, the Good Shepherd Food Bank takes the donations and distributes them to the communities they have identified as most in need. Our family has been blessed, and we have appreciated this opportunity to give back in a meaningful way each year during my time in office. It is heartwarming to see our neighbors, friends, co-workers, students and various groups like the Boy Scouts and Girl Scouts dropping off donations year after year. Giving back to your community is an important part of being a good citizen and a good neighbor. Generosity comes in many different forms. It can be donations of food or clothes, money, or time. I have seen people with very little make a point to donate their time or items they no longer use, telling me that there are others more in need. We honor their commitment to their communities. That’s what being a Mainer is truly all about. This Thanksgiving, we are grateful for the generosity of the Maine people, the selfless sacrifice of our veterans and military families, and the freedom and abundance we all enjoy in this state and nation. The First Lady and I wish you a very Happy Thanksgiving.